Elegant prose and imaginative ironies bring these compelling short stories to life in this first English-language collection from Mexican author Roberto Ransom. Each of the ten stories is filled with fascinating, yet enigmatic and sometimes elusive characters: an alligator in a bathtub, an invisible toad who appears only to a young boy, the beautiful redheaded daughter of a mushroom collector, a deceased journalist who communicates in code, and even Leonardo Da Vinci himself, meditating on The Last Supper. One of Mexico’s most original writers, Ransom explores these characters’ emotional depths as they move through their fantastical worlds that, while at times unfamiliar, offer brave and profound insights into our own. Missing Persons, Animals, and Artists is the follow-up to Ransom’s highly acclaimed A Tale of Two Lions, praised by Ignacio Padilla as “the best Mexican literary work I have read in recent years. . . . [It] heralds a pen capable of that rarest of privileges in our letters: attaining the comic and profoundly human through a perfect simplicity.” This collection of short stories has been translated with great care by Daniel Shapiro. Vasari, Do You Hear Me? "Shapiro has accomplished a very difficult task: he has created a clear, pellucid language in English for Ransom's stories, which are dark and tortuous. The contrast is devastating. The same tension between substance and style exists in Spanish, and Shapiro has been able to duplicate that with finesse, sophistication, and an excellent ear. His translations are a gift to English-speaking readers." 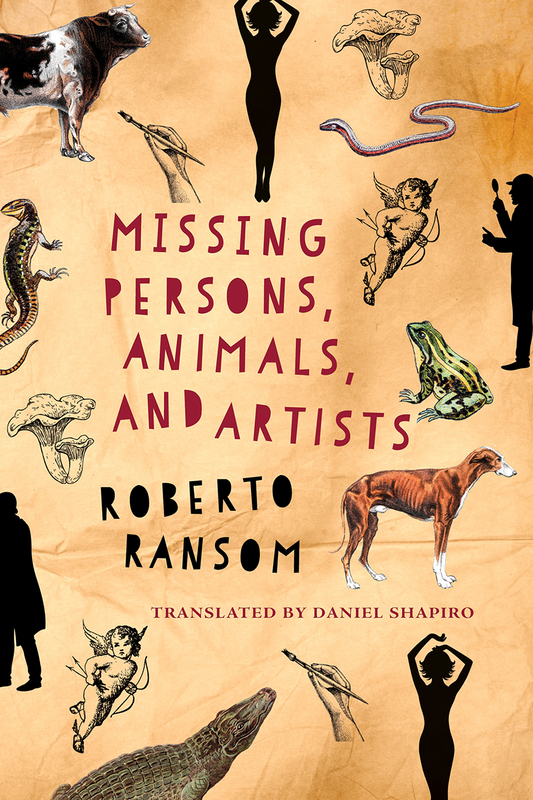 "Roberto Ransom's collection of short stories, Missing Persons, Animals, and Artists, is a trip to fear, to the uncanny, to the limit where we give up our defenses and just relate."